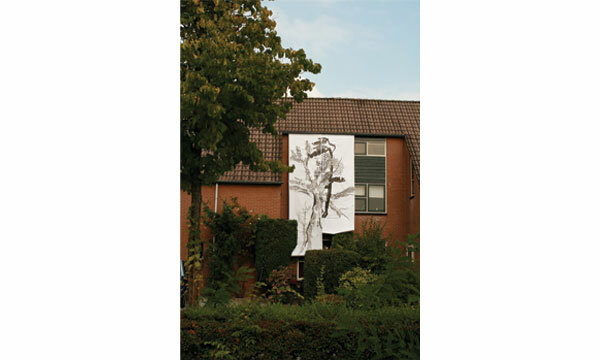 In the work “Between trees and tree” I use a big livesize drawing of a tree. 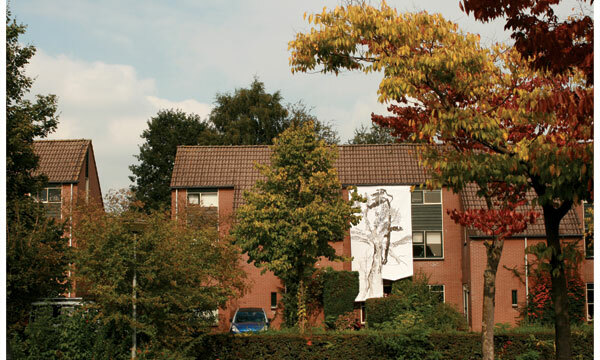 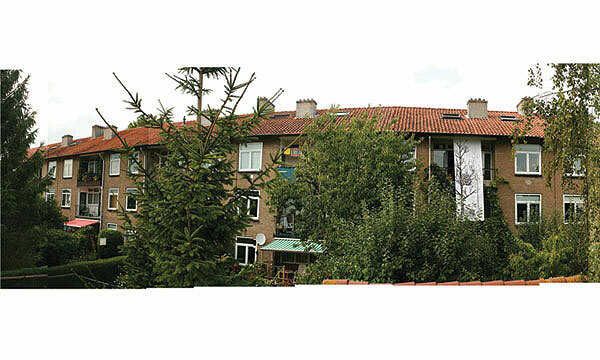 The tree drawing was made on paper with black ink and placed in a an super quiet Dutch suburbian village. 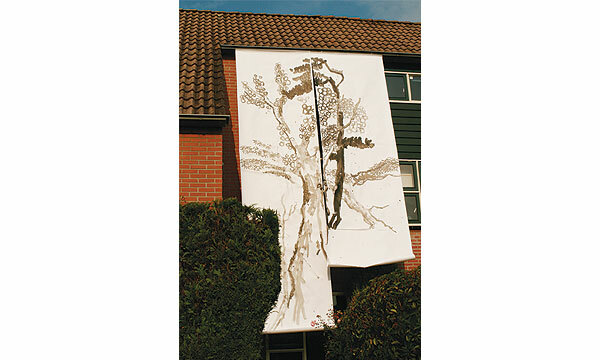 The backgroundstory of this tree is, that it was based on a Japanese treedrawing exercisebook tree. 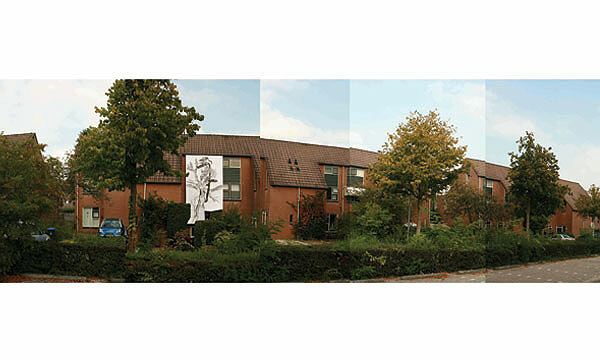 The fact that it’s placed in its new enviroment gives a certain tention or feeling of straingenes to the passersby.